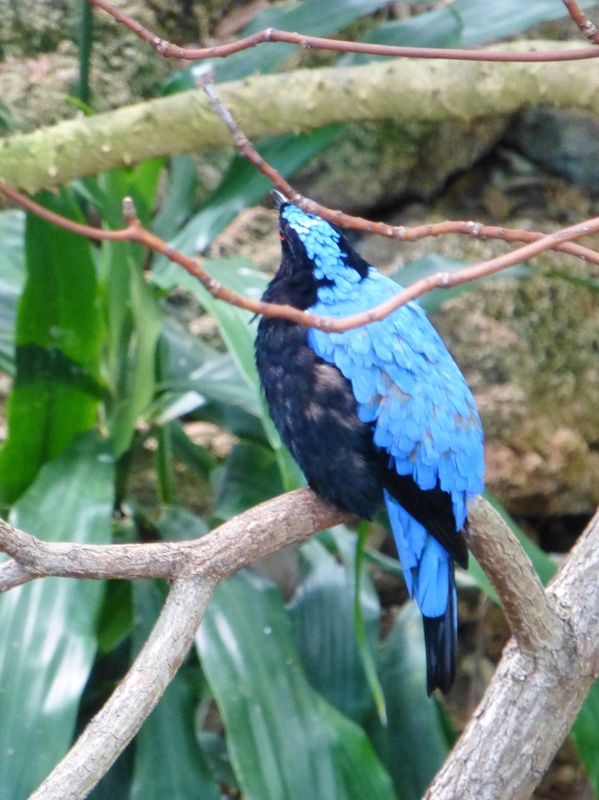 Visiting the National Aviary for Colorful Bird Inspiration! I find birds so fascinating, and not only because they can soar gracefully through the air and create exquisite music with their calls. The color combinations and exotic shapes and textures are a visual treat for the designer in me! I thoroughly enjoy feeding and watching the birds in my own backyard, so experiencing such a large quantity of new and exotic bird varieties was exhilarating! Last weekend I had the pleasure of visiting my family for the July 4th holiday. We had a great time visiting and spending time together in general (yes, there were fireworks involved!). One of the highlights was making a trip into the city (Pittsburgh, PA) and touring the National Aviary, our country’s premier bird zoo. 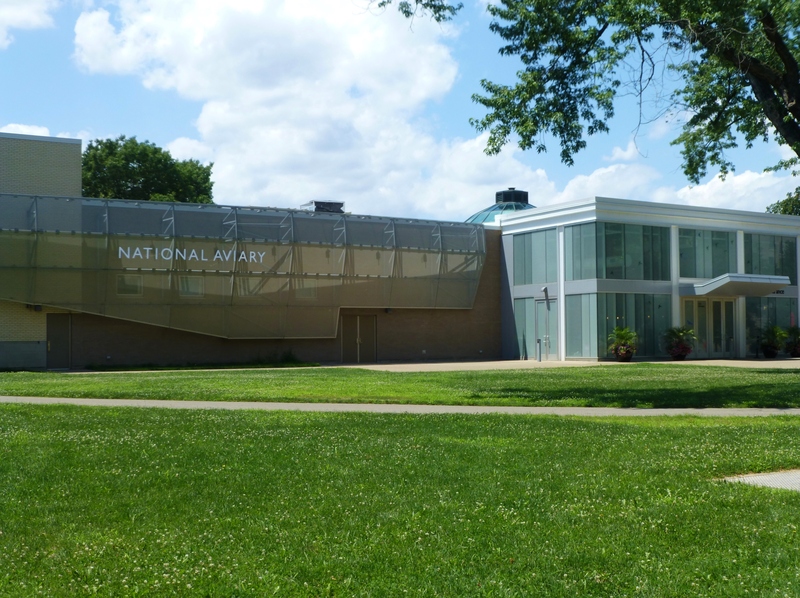 The National Aviary’s large indoor, walk-through exhibits create an experience unlike any other – an intimate, up-close interaction between visitors and free-flying birds, including opportunities to hand-feed and meet many species rarely found in zoos anywhere else in the world. 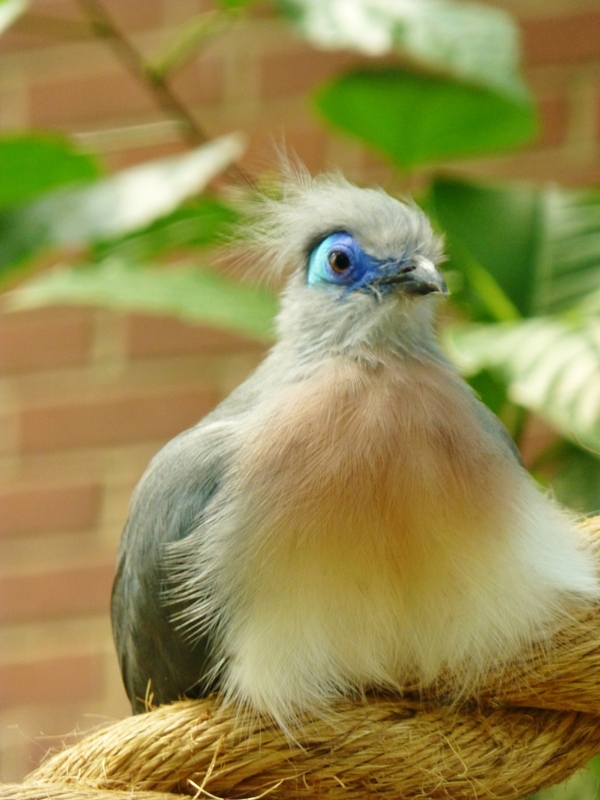 The National Aviary is America’s only independent indoor nonprofit zoo dedicated exclusively to birds. 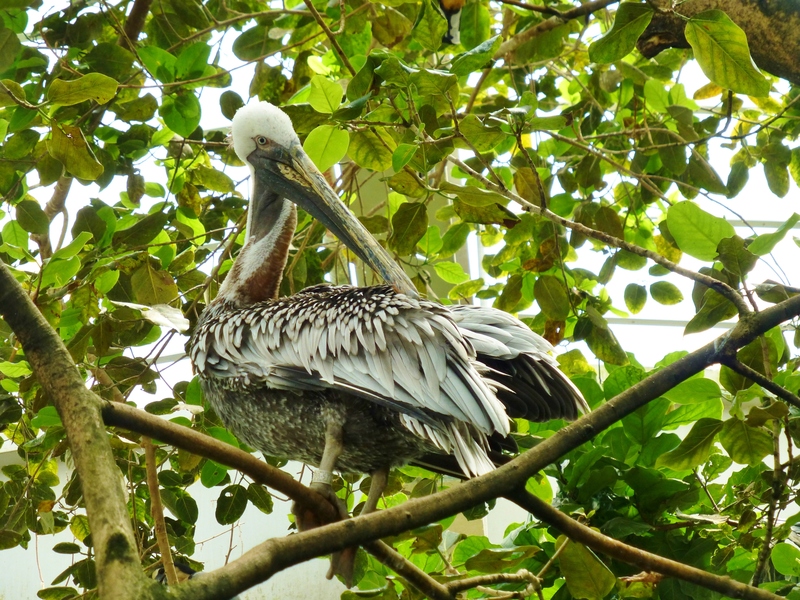 This exciting facility houses more than 500 birds which represent more than 150 species from around the world, many of them threatened or endangered in the wild. One of the first exhibits is the penguins. This one is named Elvis–see the tag around his flipper? It was fun watching them interact and learning about their lives at the Aviary. 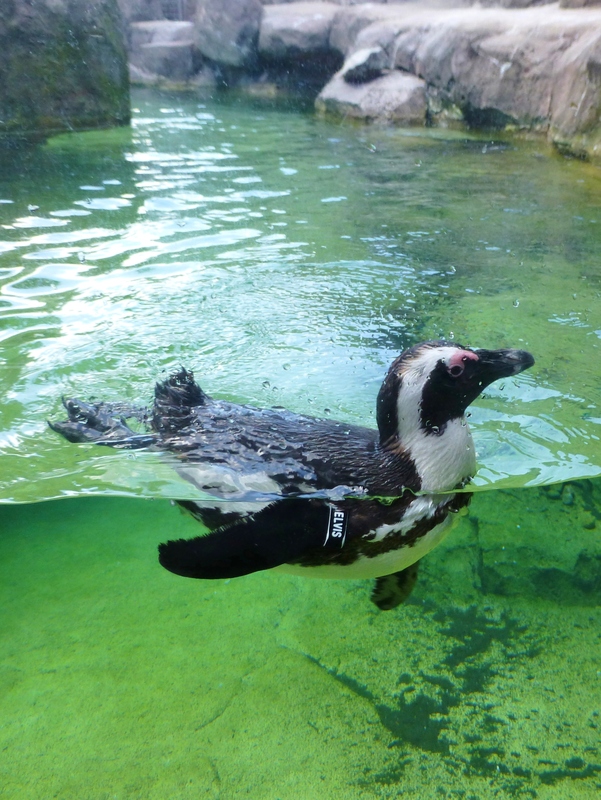 Black and White décor is a classic color scheme and the Penguins wear their tuxedo style very well! Flamingoes are always a favorite for their bright salmon/pink color, but I was especially enamored with the textures of this Pelican. His beak was extremely weathered (almost like drift wood) and his feathers offered varying shades of grey and ivory. So cool! Here’s another shot of a majestic Pelican. It looks so regal sitting in the branches of this tree! 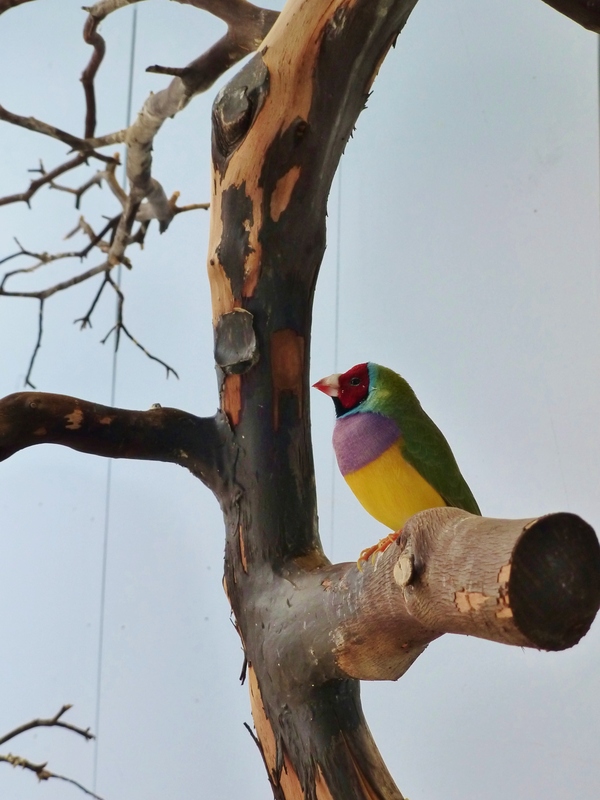 If you’re looking for color, a good place to visit is the tropical room at the National Aviary. There are so many colorful exotic species here! 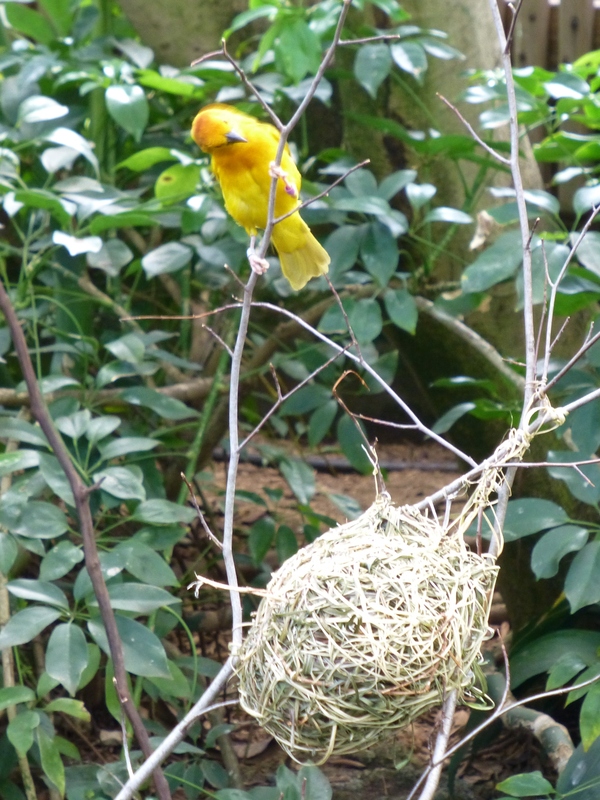 This vibrant yellow and orange bird created a fantastic woven nest. Isn’t the texture a marvel? Here’s a detail of another tropical variety…I love how it blends into the palm fronds, but the ‘eyelashes’ and beak are so bold and amazing! Yellow and grey is such a popular color scheme for interiors at the moment. I thought this bird in the grassland area was a great example of this current color combination. Here’s a beauty that was also in the grassland area. 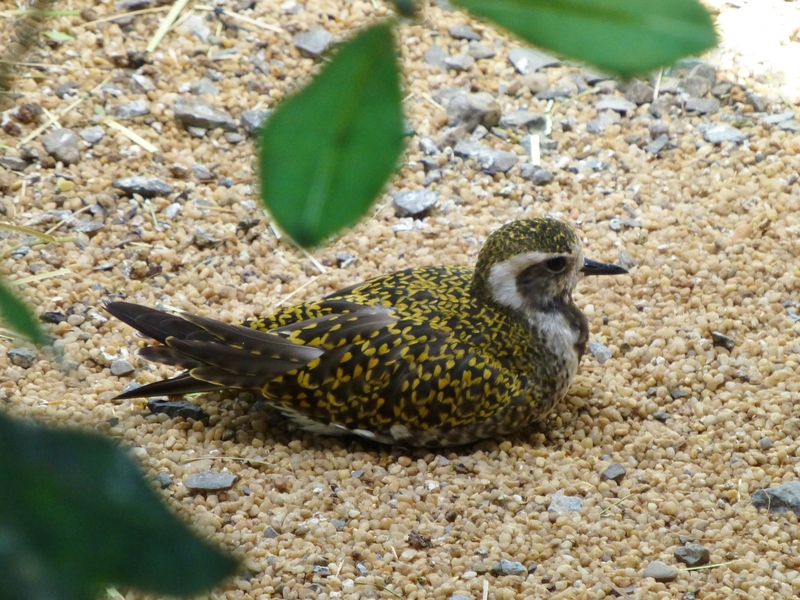 Its shape definitely caught my eye–the long split tail and the fluffy round body are so sculptural. An extremely vibrant Finch reminds me of the color-blocking that’s such a popular trend in current interiors. What a great combination: purple, yellow, green, red, orange, black and just a touch or turquoise. Wow! 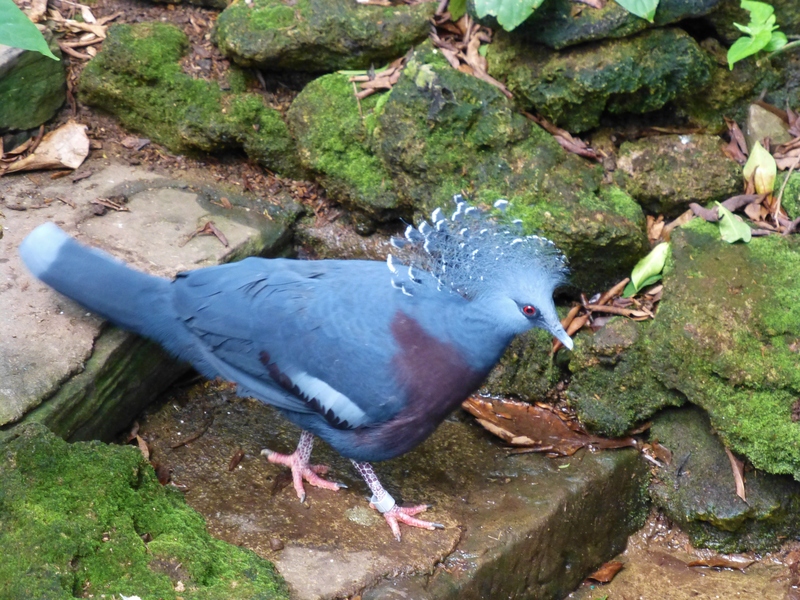 This blue and purple wonder is called a Victoria Crown Pigeon. They are natives of Australia. 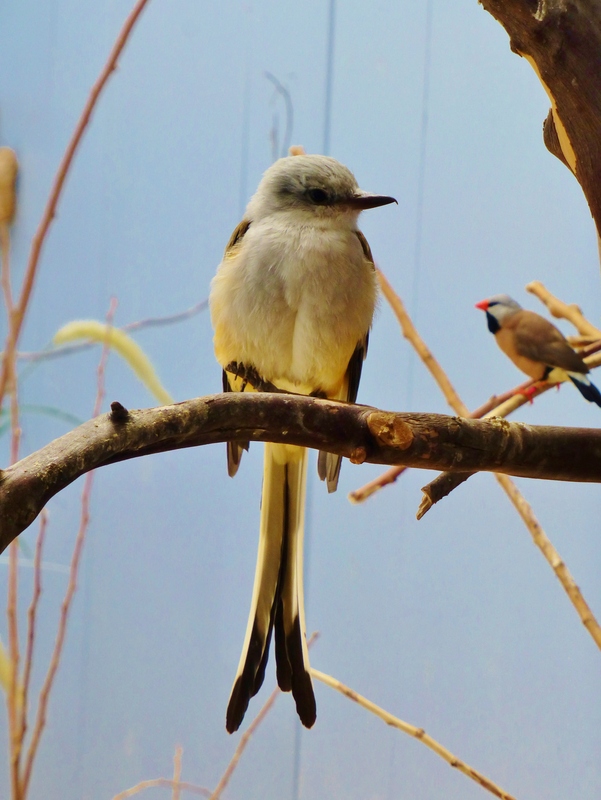 This was one of Grady’s favorite birds, and the National Aviary has a pair. This shot reminded me of an image in Vogue. 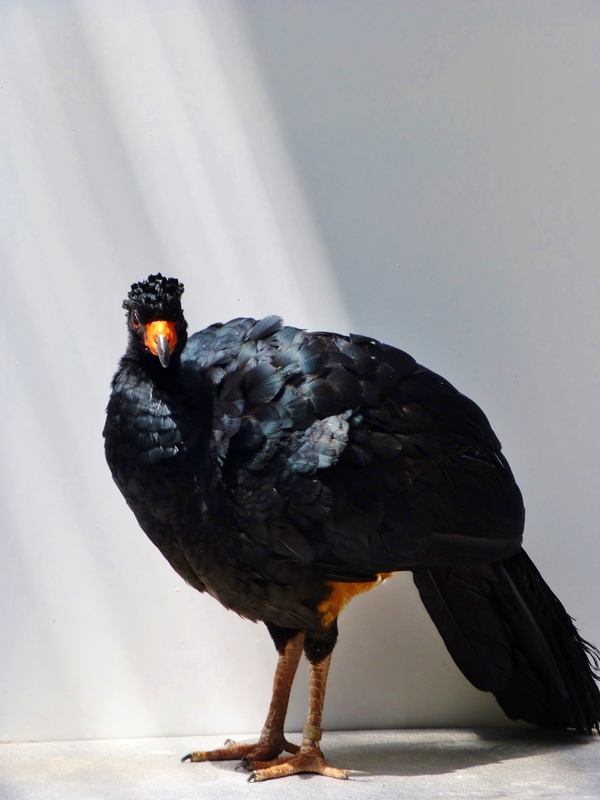 I love the way the light shines down on the shiny black feathers. The beak and toes are in such high contrast to the sleek, inky black. It reminds me of a fashion model in a little black dress wearing bold orange pumps and carrying a matching handbag. 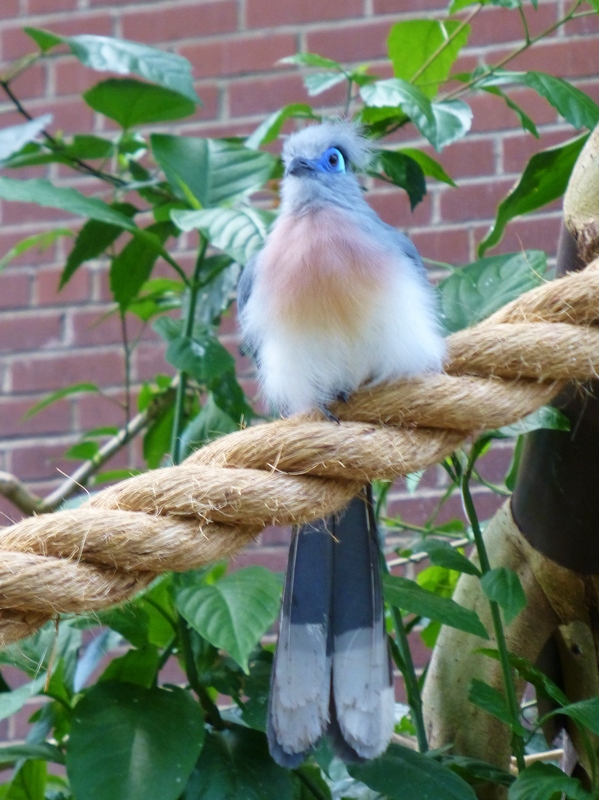 I’ll leave you with two images of my own favorite bird at the Aviary. This one has it all: color, form, and of course texture. The pop of colors on his head and the soft fluffy textures of his breast and crown make this bird a real winner in my book! 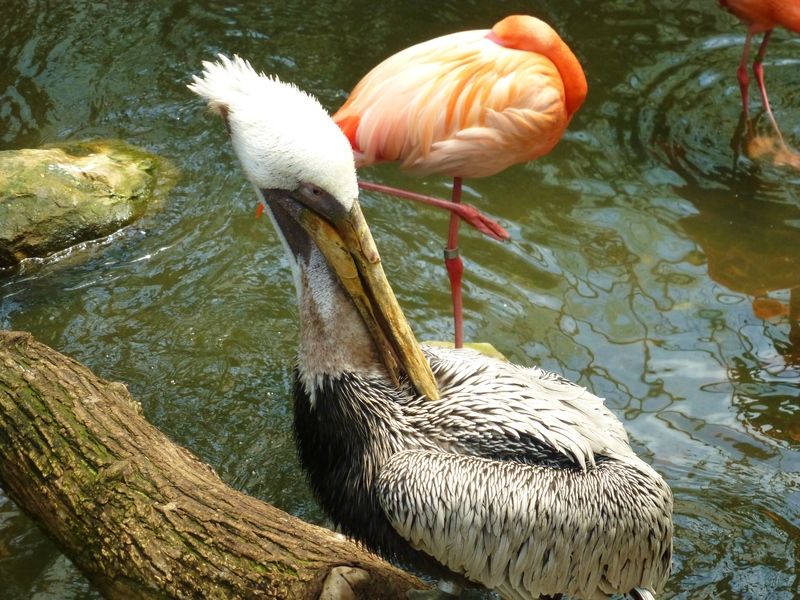 These beautiful avian creatures definitely sparked my enthusiasm for design with their phenomenal colors and textures. I hope you enjoyed today’s post and that you’ll share Kristine Robinson’s Interiors with all your friends. Please take the time to leave me a comment–which bird was your favorite? 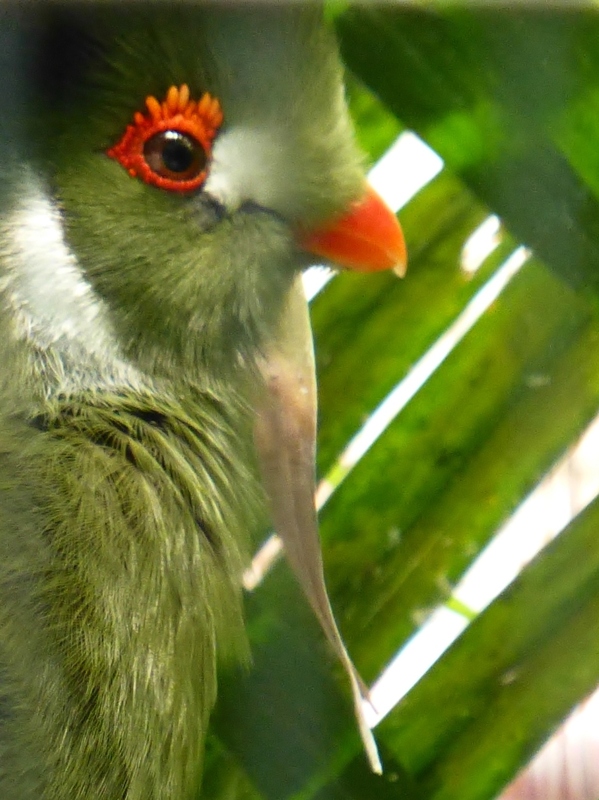 This entry was posted in Birds, Color, Home Decor, Interior Design and tagged Aviary, Bird Watching, Color Schemes, Decor, Interior Decorating, National Aviary, Pittsburgh, Robinson interiors, Travel, Zoo. Bookmark the permalink.